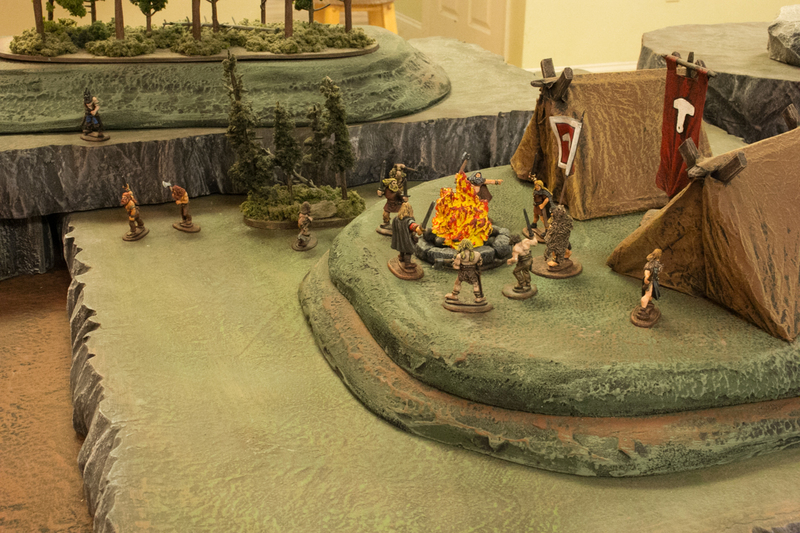 Eskander Toshe secured another victory for the League of Nil-ith Horn and reclaimed control over the Mines of Rostok. 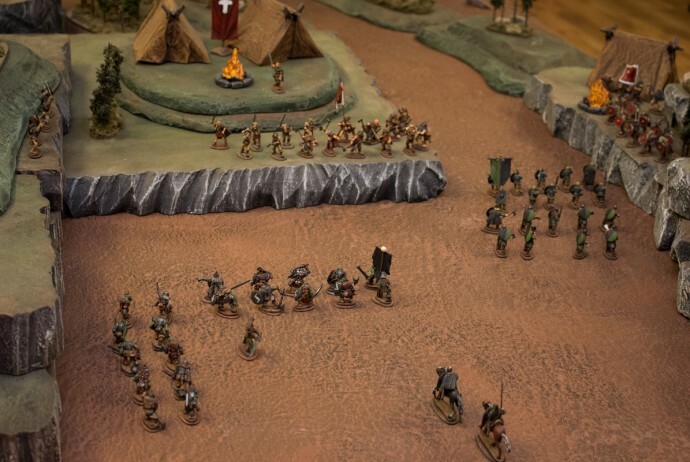 His urog ally Vaak Akarya insisted she and her orcs accompany them back to Rostok Hold to protect against the humans from the Upplands who frequently attacked the caravans and troops on the Silver Road. 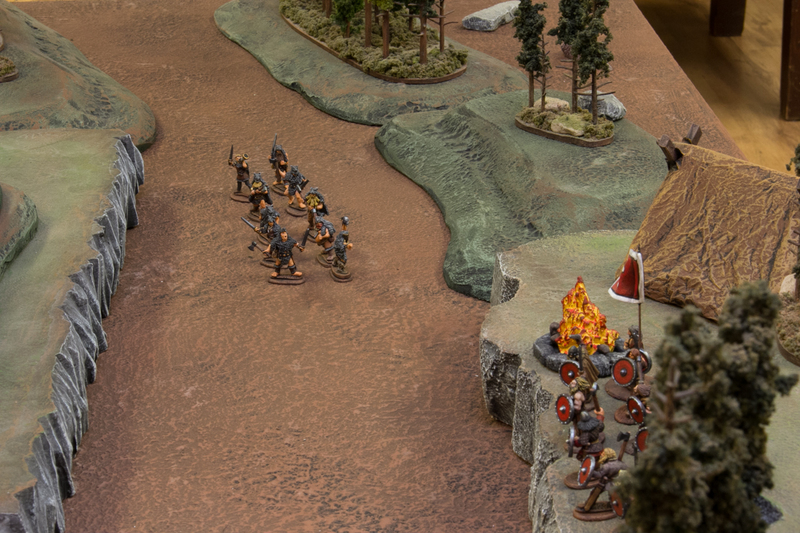 Valgar Ottarson made brave boasts to his warriors they would crush the League of Nil-ith Horn forces in their ambush on the Silver Road. Eskander agreed and they marched together for Rostok Hold. 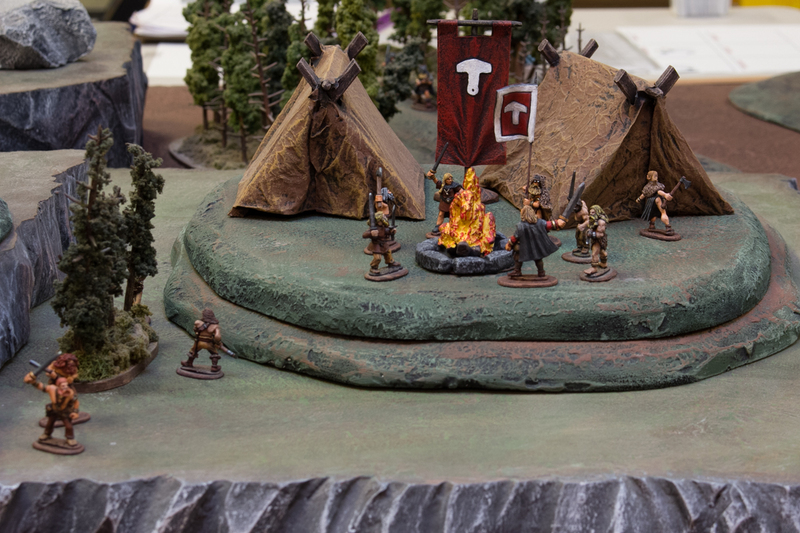 Very shortly, the scouts brought Eskander word of significant enemies ahead. 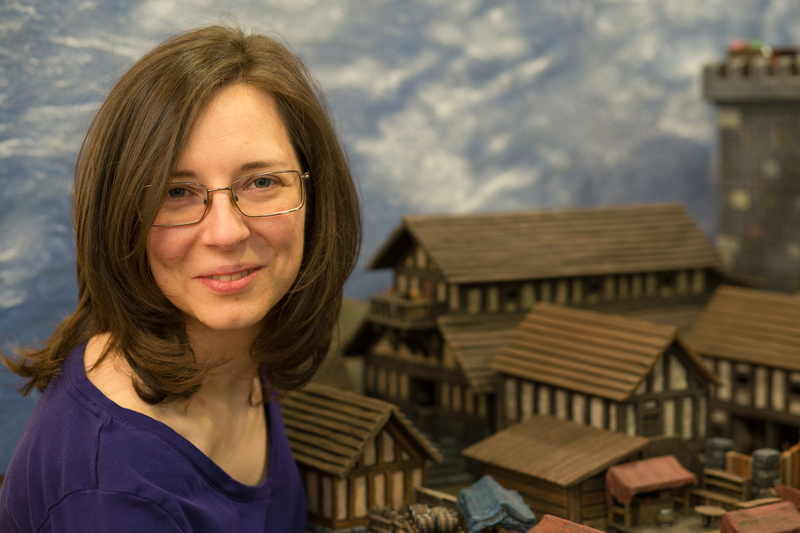 The Upplanders awaited their army. 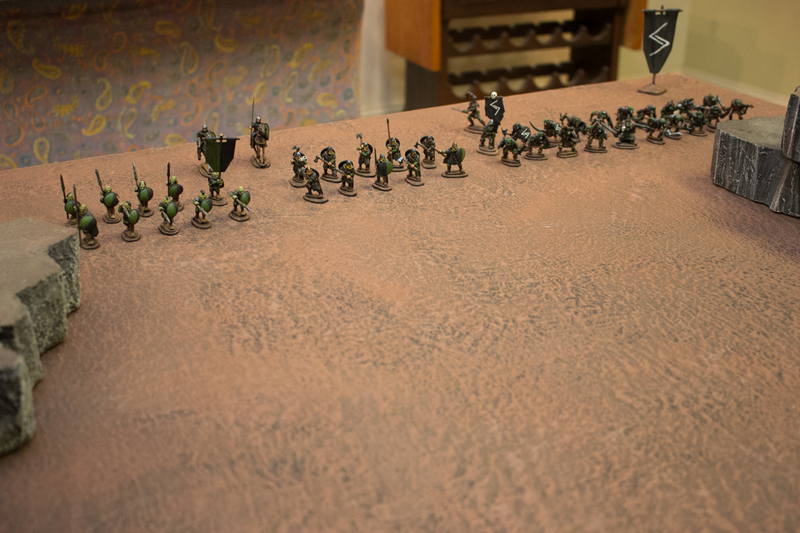 The League of Nil-ith Horn forces deployed ready for a fierce fight through the pass. 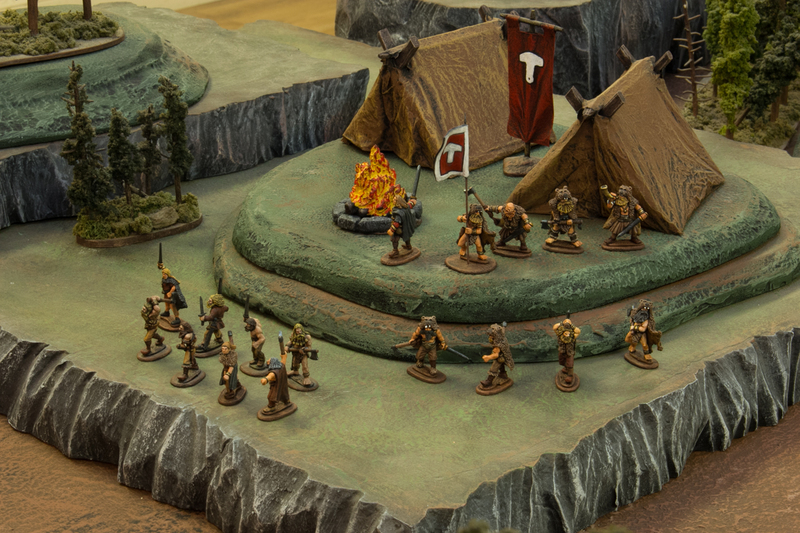 Valgar Ottarson gave orders for the Upplanders to take position. 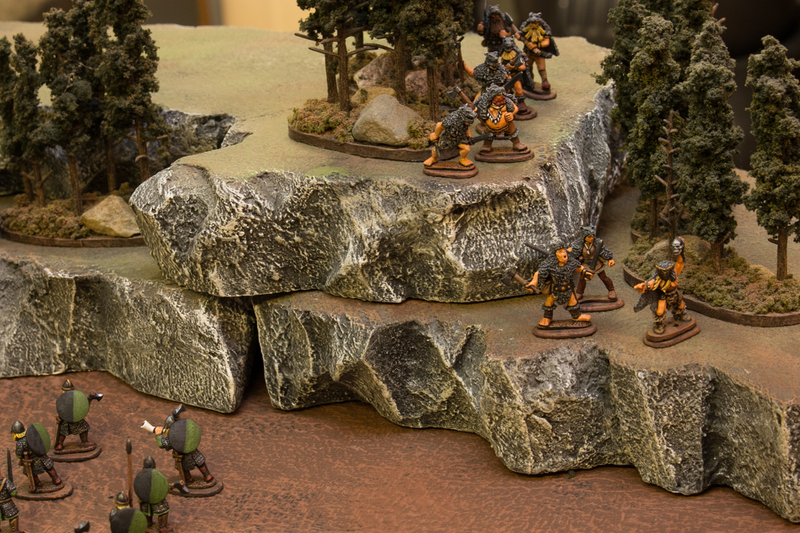 Valgar’s bonders positioned themselves up the cliffside above the route of march the heavily armored Nil-ith Horn infantry would have to take. 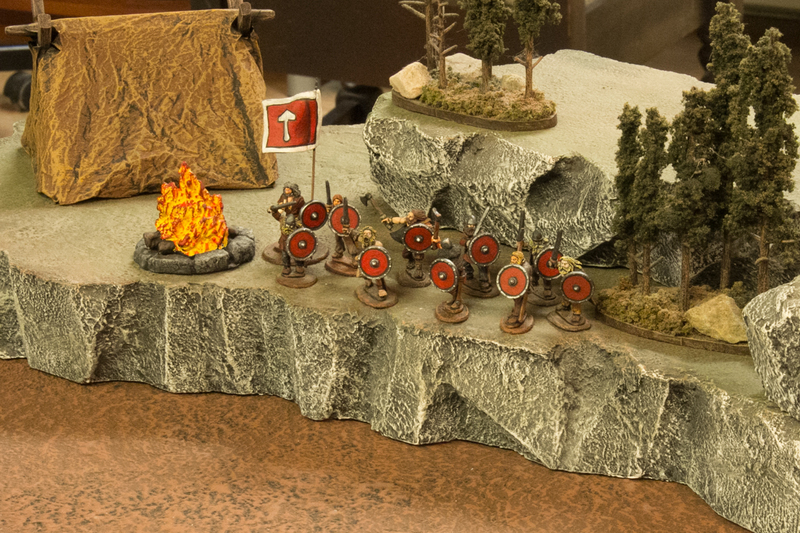 The ulfhednar ran straight towards the pass at the League army, and instead climbed the short cliff by the bonders. 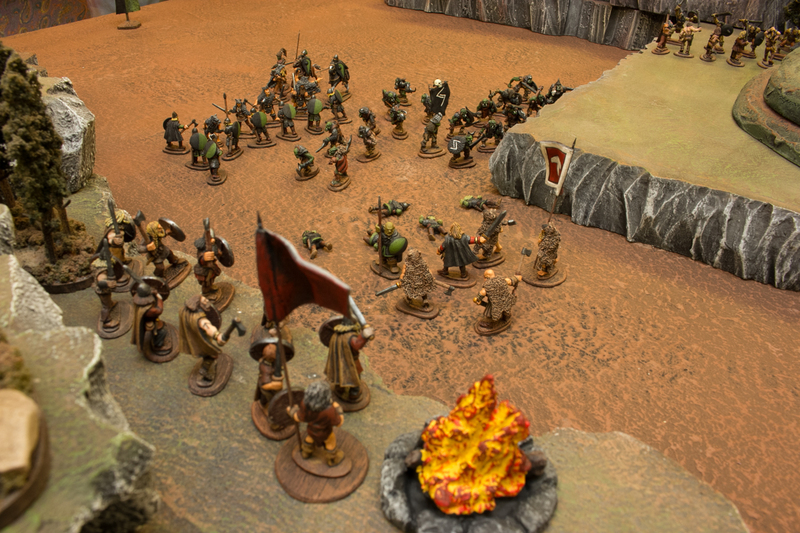 The utvalt men hurled insults at the orcs while Valgar Ottarson summoned a unit of elite berserk warriors from out of hiding. 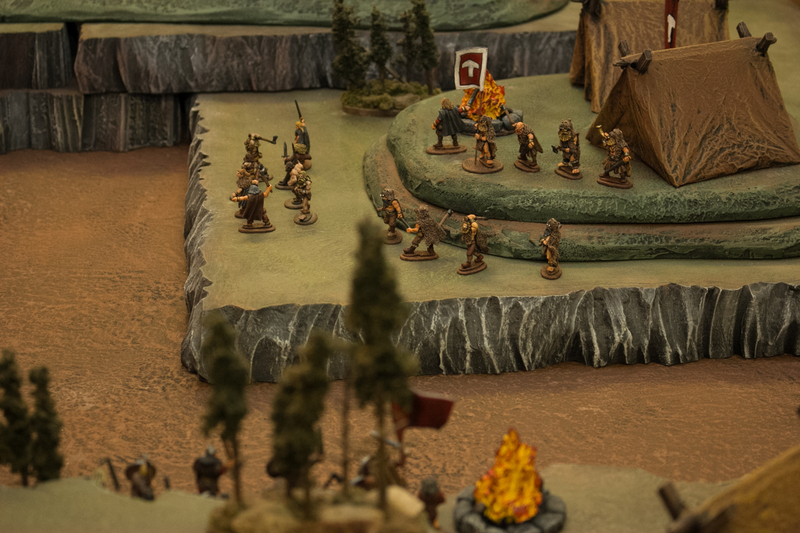 Valgar rallied his warriors as the League of Nil-ith Horn troops approached. 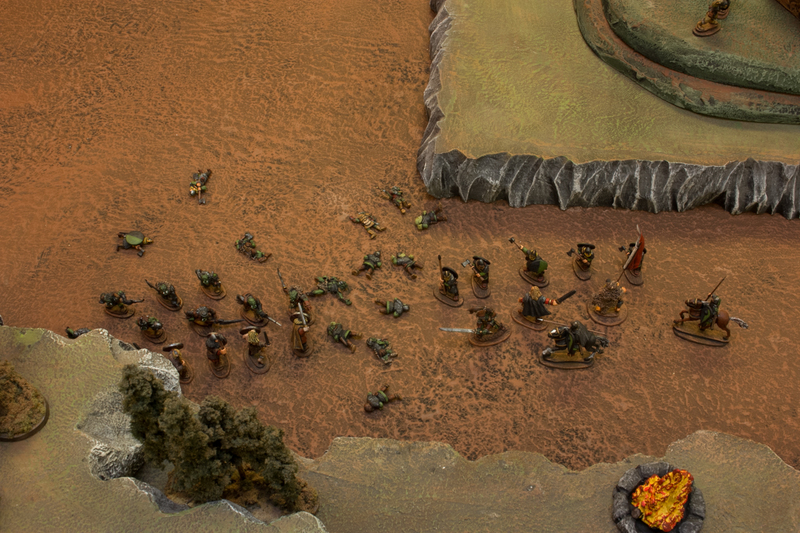 Vaak Akarya brought her units up the left flank. The smerdi led the way for the League forces, followed by the League’s Gautrain Guardsmen. Gazzi and his elite valdgrafs climbed along the ridge while the League of Nil-ith Horn infantry marched into the pass. Eskander and his officer Selibek held their horses to the rear. The League shields proved strong against the javelin fire as the infantry entered the pass. 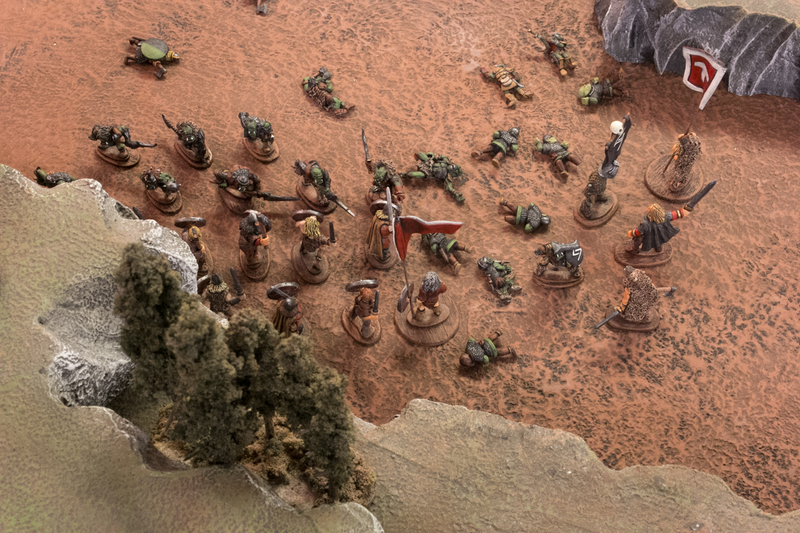 Though the bonders had the advantage of height, their javelins failed to drop any League orcs. 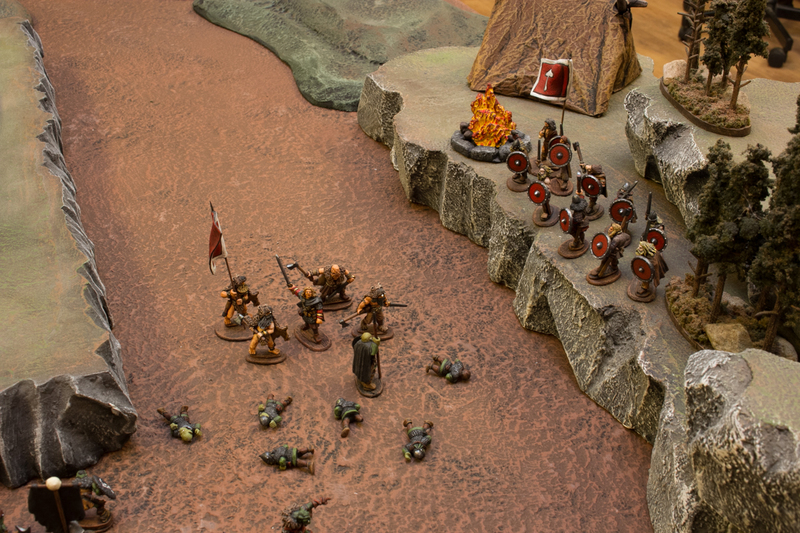 The ulfhednar passed through the wooded terrain and attacked the rear of the League infantry. 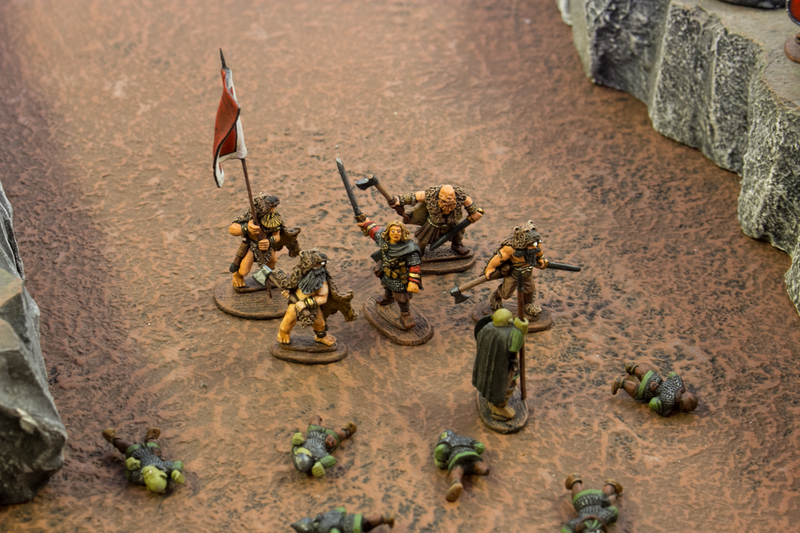 The berserks jumped down to slay the smerdi. 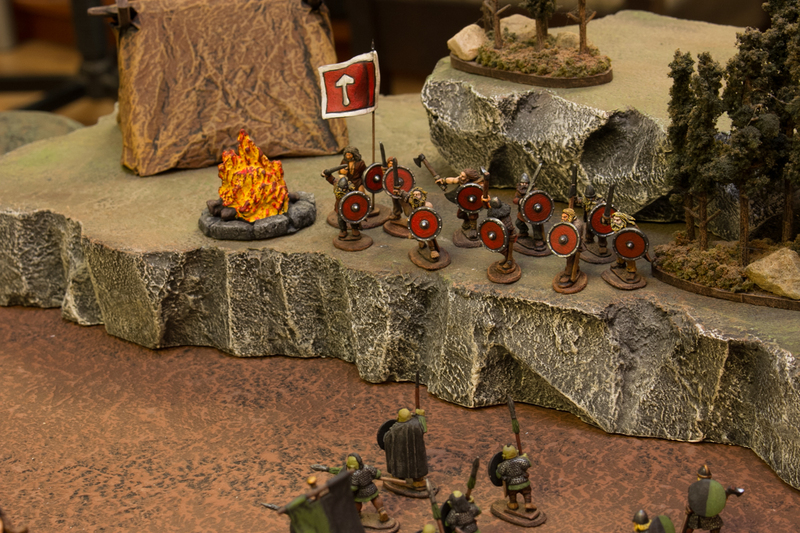 The smerdi fell in numbers to Valgar Ottarson and the berserks. 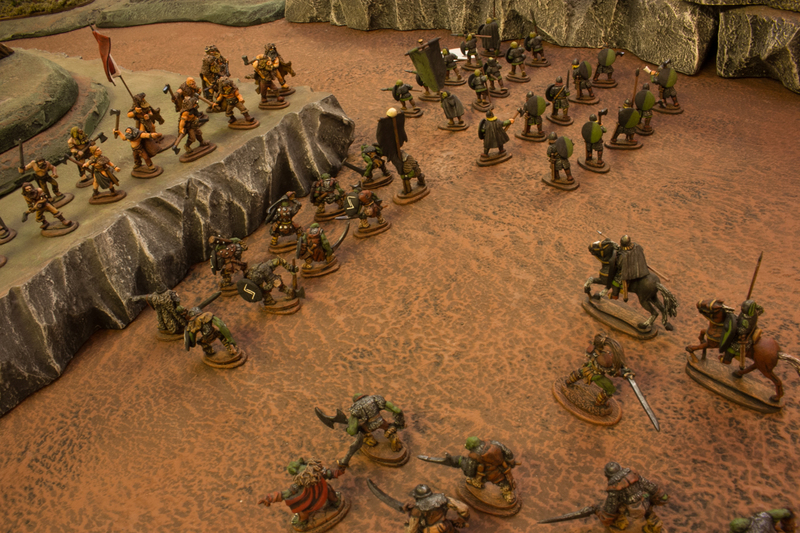 One resilent smerdi stood against the mighty Valgar and his elite berserks. 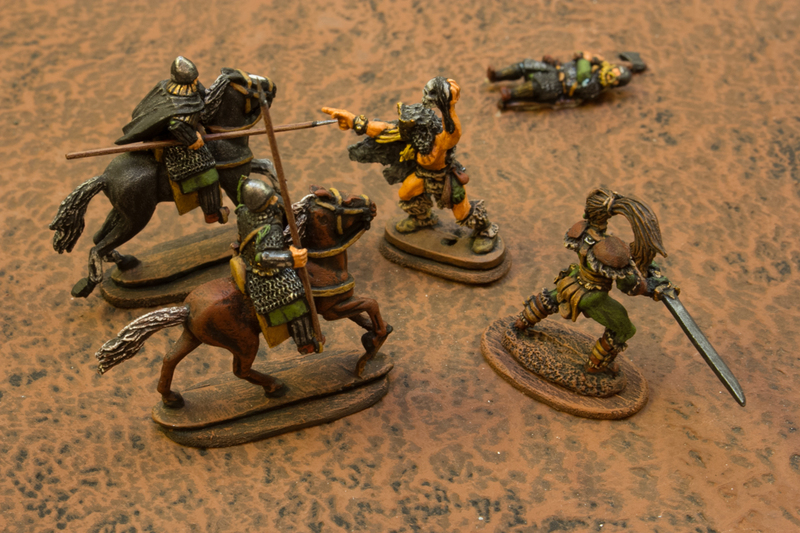 While the stoic League smerdi pinned the berserks, the Gautrian Guardsmen fought the ulfhedanr, and the valdgrafs destroyed the utvalt men. The last smerdi was slain, and Vaak’s orcs crashed into the melee against Valgar. Vaak and Eskander joined their strength to bring down the ulfhednar priest. 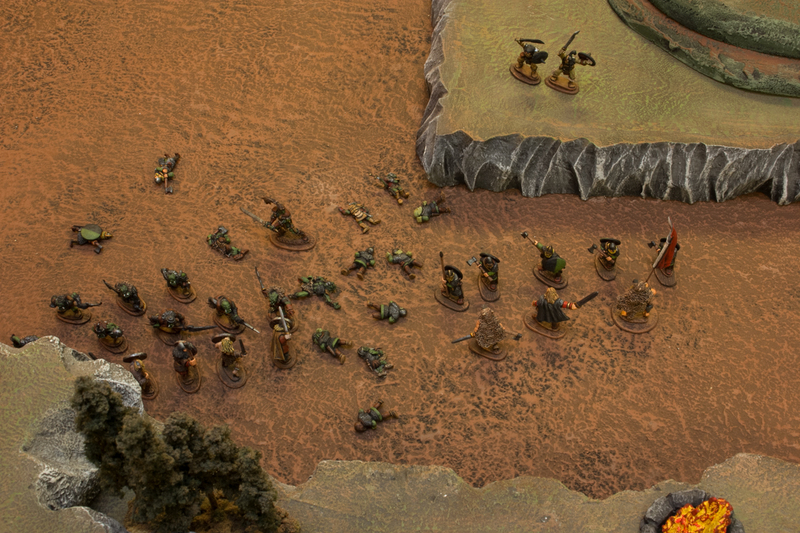 As all seemed lost for the Upplanders, the bonders leapt into the fray. 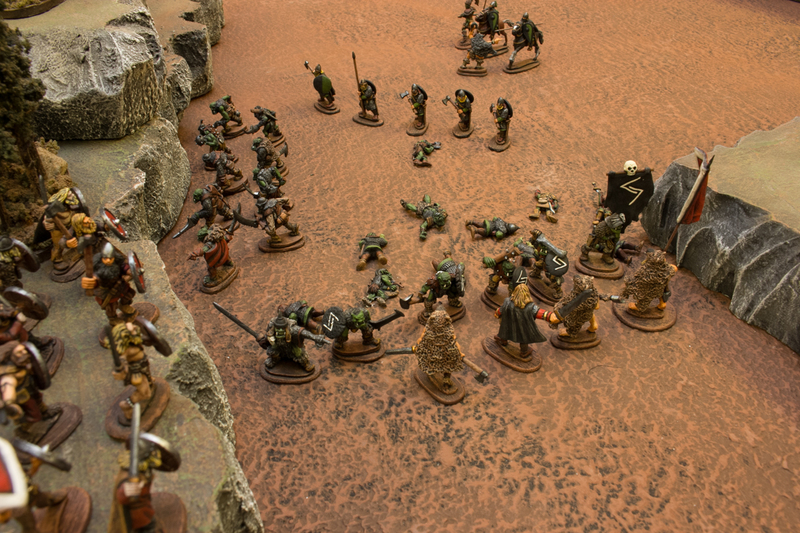 The orc reavers overpowered the lightly armored bonders, while the Gautrian Guardsmen stepped over the fallen orcs and hewed at Valgar and the berserks. Finally, Eskander and Vaak closed with Valgar Ottarson, and the heroes slew the mighty Upplander.